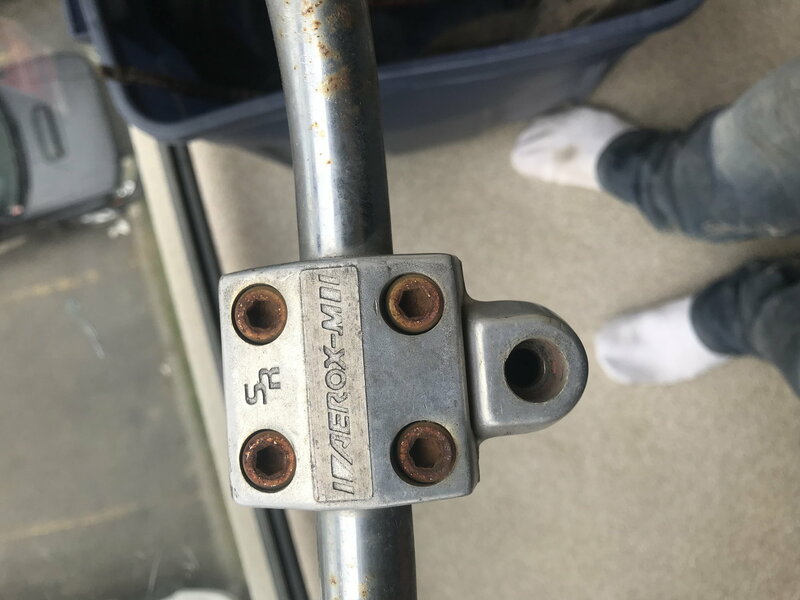 Anyone out here a norco or BMX wizzz from the 80's? Found this old beauty at a yard sale. 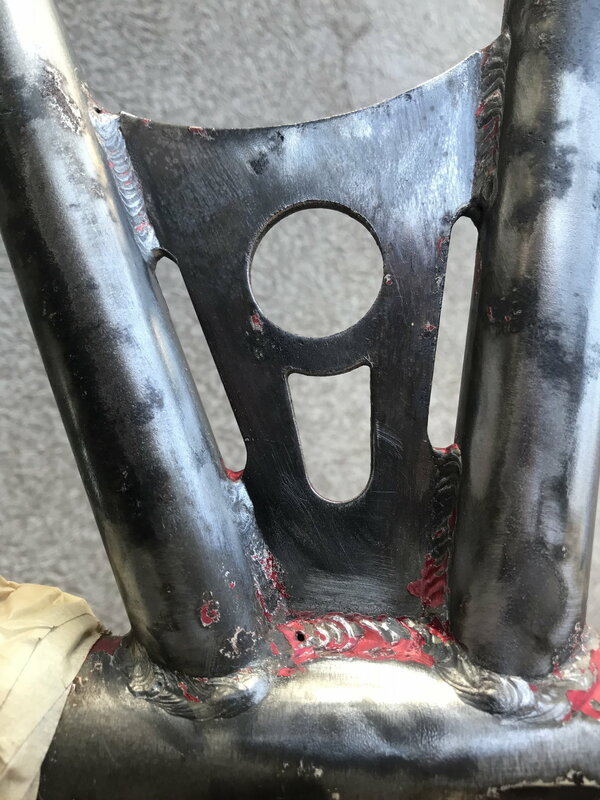 Has a different gusset/stiffener then any Norco BMX anyone i have talked to has seen. 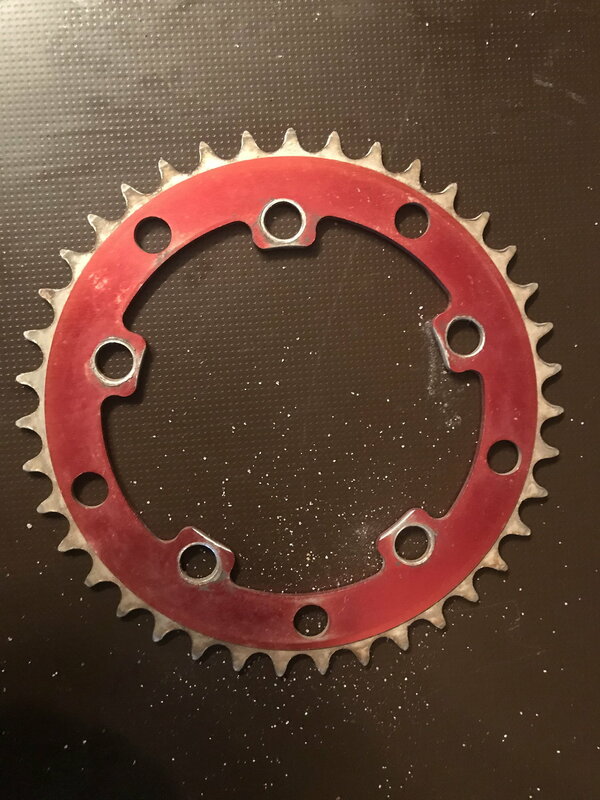 Came with red anodized seat posts, brake lever and clamp, front sprocket and pedals. Skyway Tuff I front and Tuff II on back. 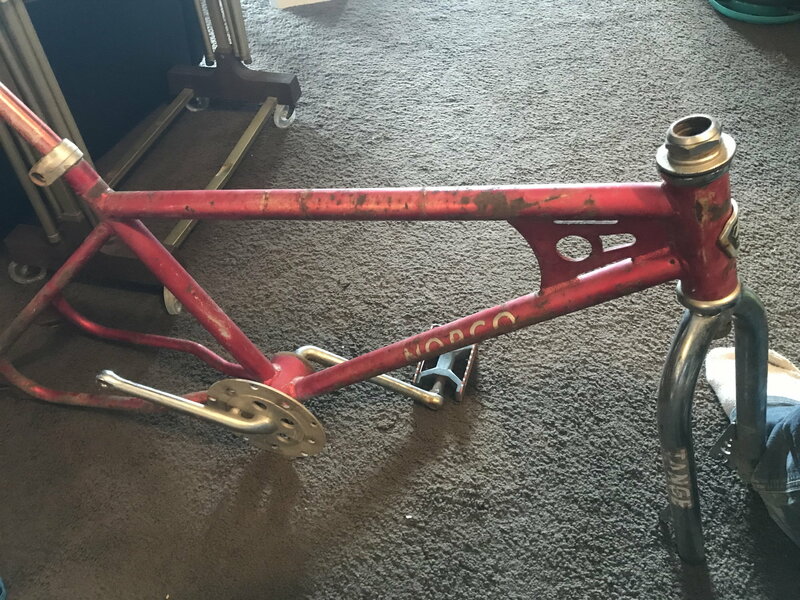 I had never heard of Norco, I checked BMXMUSEUM and they have over 100 of them on there to compare yours too, have fun! 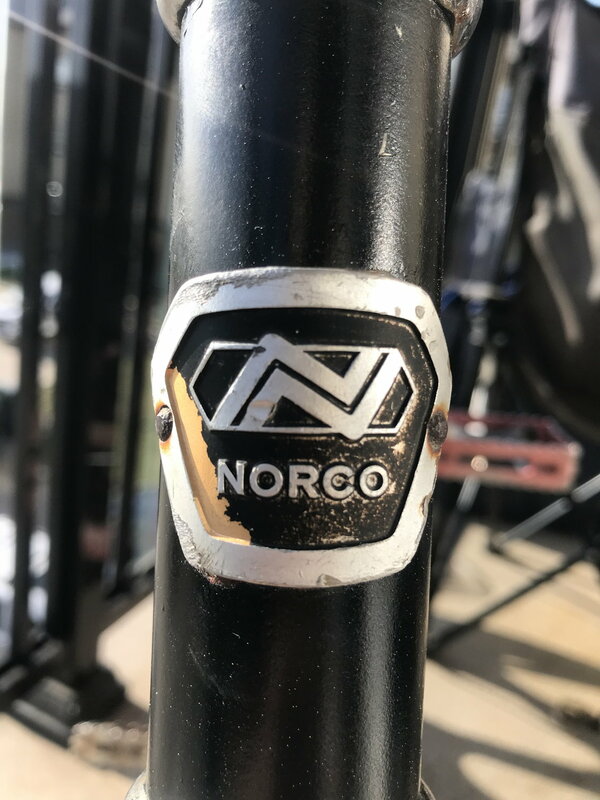 Norco was and is a Canadian brand. Pics would help but it sounds like it has some awesome parts on it. Tried uploading pics but im a new member...... stupid. "You are not allowed to post URLs until you have at least 10 posts"
I'd be interested in seeing pics... I have had a few older 80s Norcos. I'm wondering if its a mid-year Desert Rat or Samurai or something... I have had a few that I haven't seen posted before due to the weird decals and colorways. So the forks are stamped A0 Indicating January 1980 and i believe these are original but i cant be sure. Hmmm! Now I'm really interested in seeing it. That's not the kind of bike for someone to slap random decals on. Never seen one even remotely like that... get that post count up and post a pic or two! We got Grease_Factory here and the guy seems to really know his Norcos, me I'm just curious as the bike sounds really cool! "You are allowed to post 5 posts in 24 hours. Please wait for this amount of time." You have included 12 images in your message. You are limited to using 10 images so please go back and correct the problem and then continue again. Images include use of smilies, the BB code [img] tag and HTML <img> tags. The use of these is all subject to them being enabled by the administrator. 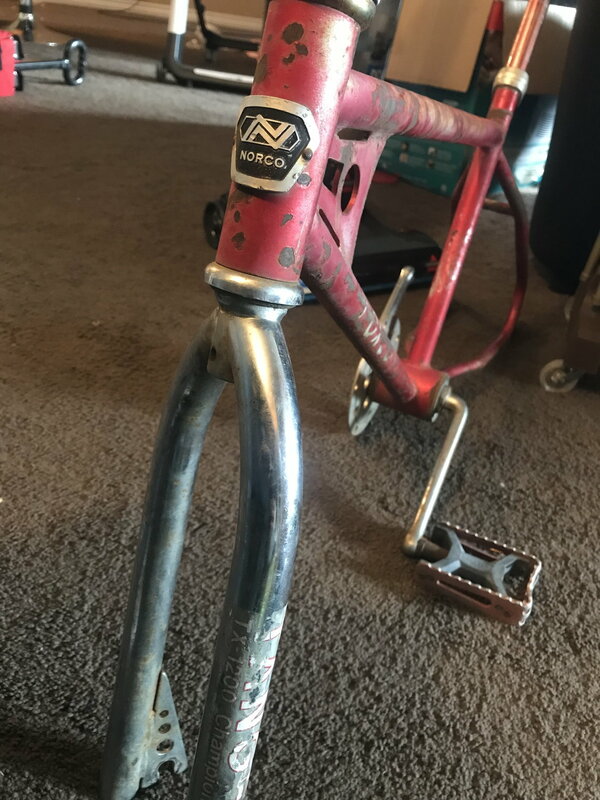 I'm not an expert with Norco serial numbers... back in the early BMX days a lot of bikes were made in Japan by various companies for export brands like Norco and Nishiki. 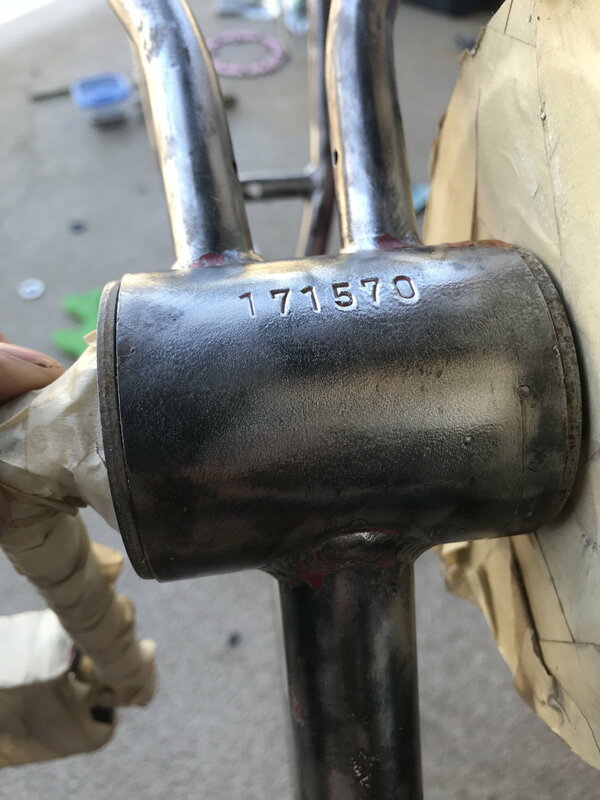 I'm going to guess based on the serial number that that is a 1977 frame. Being a loop tail and having that style of gusset are screaming late 70s to me. As far as model, I haven't a guess. 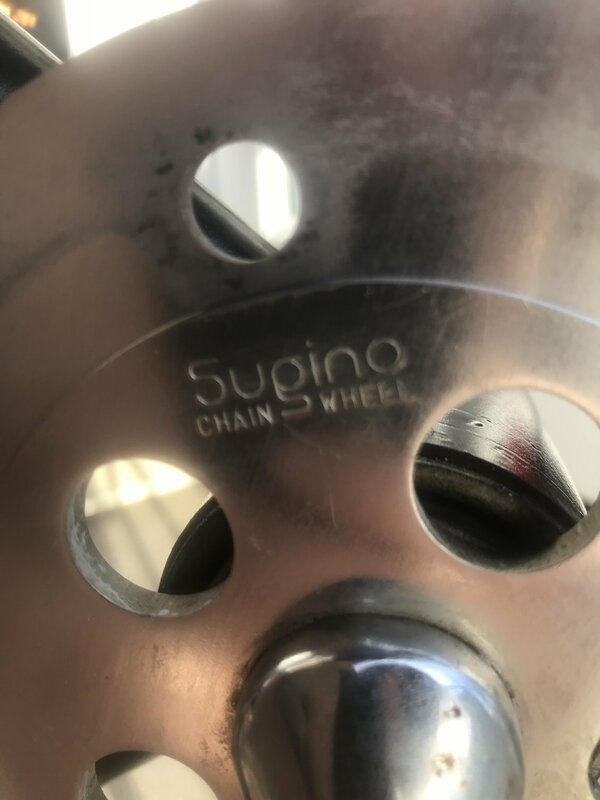 Your bike is older looking than I was expecting. some of the parts you have appear to be newer than the bike. 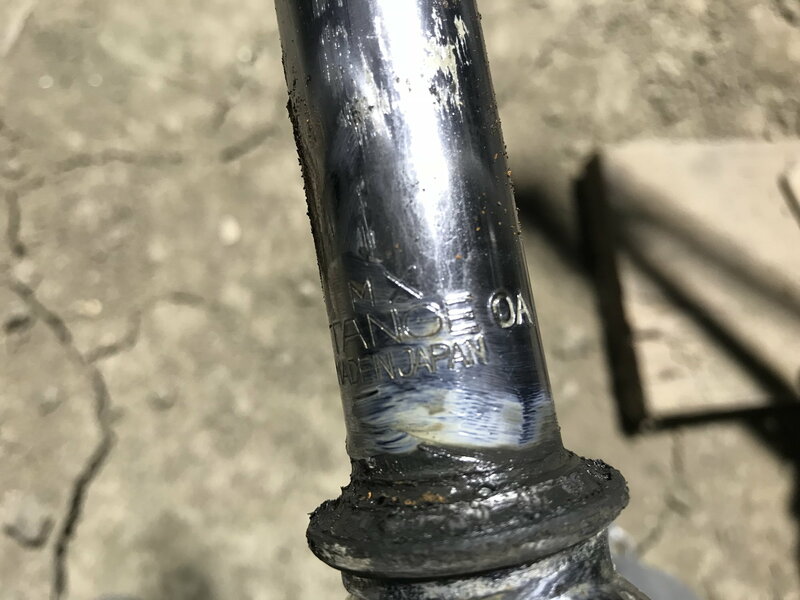 Those Tange TX-1200 Champion forks could be as old as the bike or they might be a few years newer. The date is clearly stamped on them. You will have to remove them and look on the steer-tube for the word "Tange followed by a number and a letter". The number is the year code and the letter is the month code. 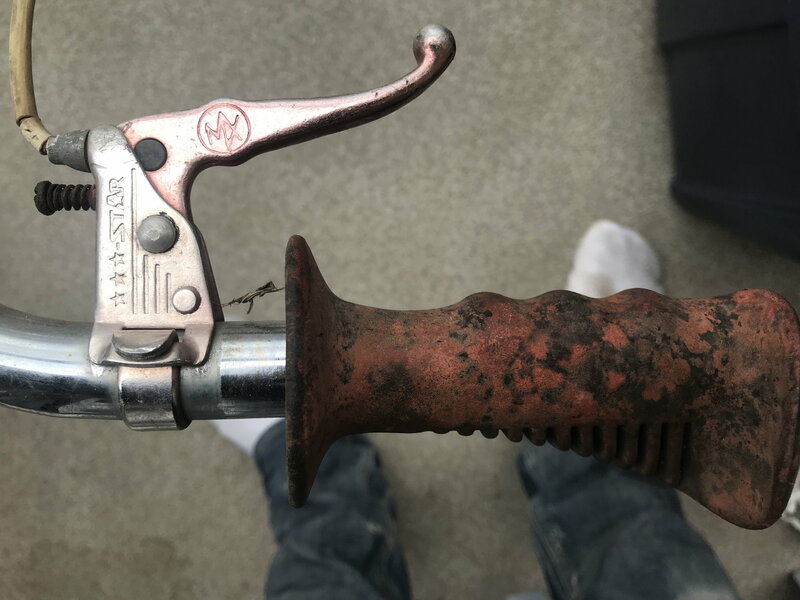 It might help date the bike a little bit better. What are your plans with the bike? Last edited by Grease_Factory; 05-21-18 at 11:51 AM. Being Canadian I have seen a lot of Norco's but I have never seen one like that. 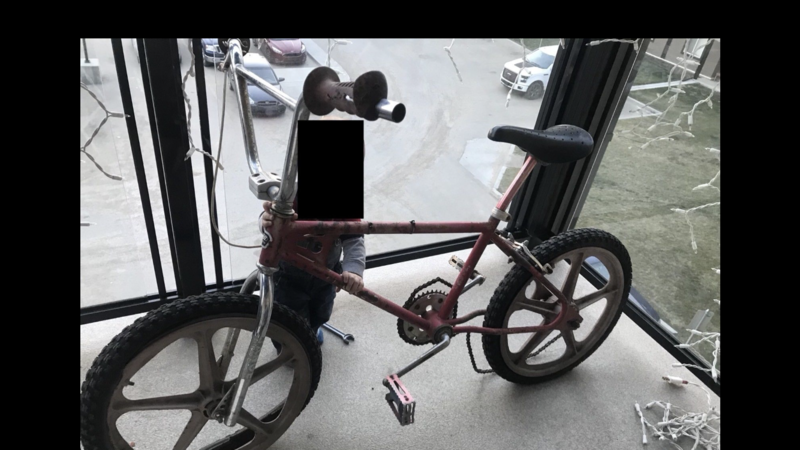 It has quite a lot of good parts on it so either someone built it up or it wasn't a cheap bike.